Eyedea is a pirate on the Midnight, Sage, Viridian and Malachite Oceans. Arr! 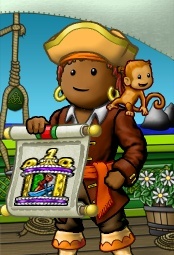 This article about a pirate in Puzzle Pirates be a stub. Ye can help YPPedia by expanding it. This page was last modified on 7 February 2012, at 03:22.